Amidst the opening of New York Comic-Con 2013, news arrived that Avatar Press, publisher of Garth Ennis’ groundbreaking horror series Crossed, announced an exclusive digital distribution agreement with ComiXology, the revolutionary cloud-based digital comics platform with more than 40,000 comics and graphic novels that have seen over 200 million downloads to date. The multi-year exclusive agreement covers Avatar Press’ English Language single-issue catalog.To celebrate, Avatar Press and ComiXology have made over 50 issues available today, thirty of which can be found platform-wide and twenty “too extreme for mobile” issues only available on the web at comiXology.com. All titles purchased from the web automatically sync to ComiXology customers mobile devices whether iOS, Android, Kindle or Windows 8 platforms. 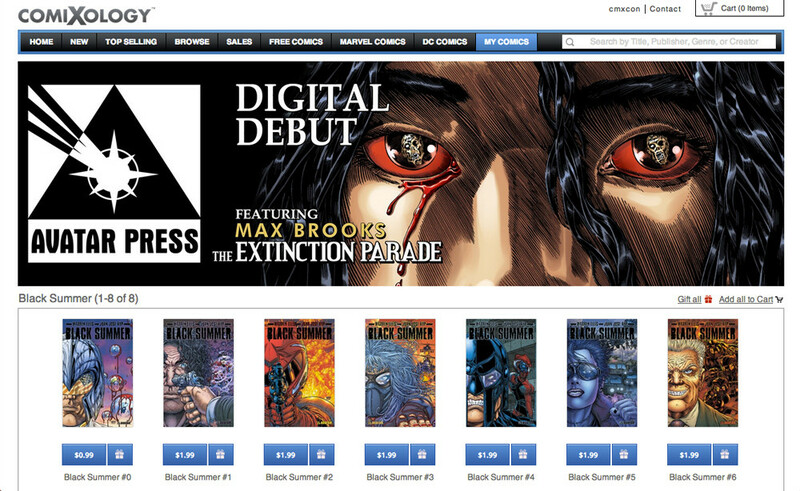 The Avatar Press titles available today across ComiXology’s entire platform include Max Brooks’ Extinction Parade, Jonathan Hickman’s God Is Dead, Kieron Gillen’s Uber, and multiple titles from Warren Ellis including Black Summer, No Hero and Supergod. At the same time, Avatar Press and ComiXology are please to announce over 20 titles available web only that are just “too extreme for mobile” including Garth Ennis’ notorious Crossed and Crossed: Badlands, Alan Moore’s recently banned Neonomicon, and David Lapham’s Ferals. Avatar Press fans across the globe can experience these titles through the power of ComiXology’s Guided View which you can download for your iPad and iPhone here.